Earlier in his life, John Tawa was well-established in a challenging career as an attorney. But something was missing. Yes, It was intellectually stimulating. Yes, it was lucrative. What it wasn't was a job in which he felt he could make "a mark on the landscape." And so he quit his practice and, eventually, he turned to volleyball. 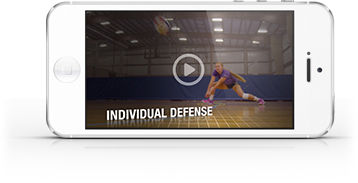 As a founding member of one of the sport's greatest resources, PrepVolleyball.com, Tawa has clearly made a mark and continues to do so. Art of Coaching Volleyball sat down with John recently to find out more about his evolution from attorney to volleyball journalist and to get his take on a few of the hot-button topics in the game. Suffice to say, Tawa took a sizable pay cut as he transitioned from law to sports journalism -- proof that $50 a week can, in the right circumstances, buy happiness. A juniors volleyball event that attracted 10,000 players was the first indication to Tawa that there is plenty of interest in this sport. And he took it from there, creating a destination where fans, players and coaches alike could get information, share ideas and heckle their rivals. Witnessing first-hand the intense passion of volleyball fans, Tawa decided it made sense to dedicate a website entirely to prep volleyball. He and his partner made a profit of $30 the first year. Tawa took it from there, and now the site is a widely respected resource for anyone seeking up-to-date info on the juniors game. If Tawa could send one message to volleyball coaches across the country, it would be this: Tell us about your team and your players. PrepVolleyball.com wants to share your story, but for that to happen, you need to share your story with PrepVolleyball.com.